The Look Solutions Unique Hazer 2.1 benefits from an extremely efficient fan meaning the haz will be distributed quickly and evenly in the venue. 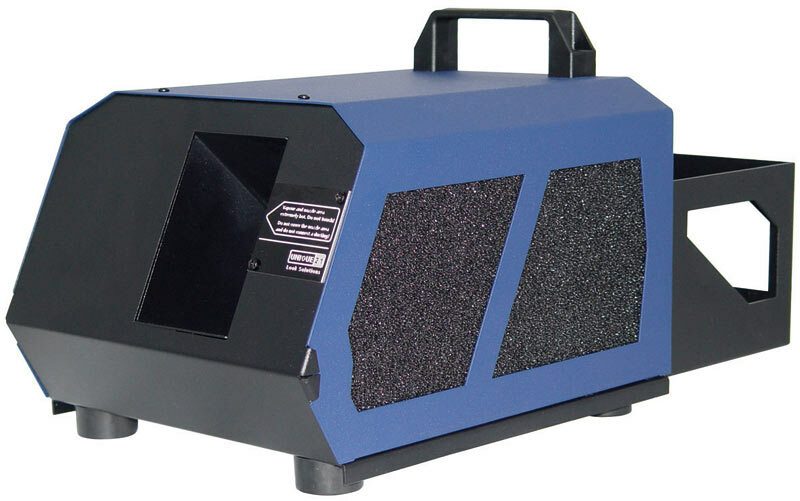 Compared to other models the Hazer 2.1 has very little noise output. Some of its USP’s include minimal warming up time, easy handling, very low fluid consumption. With the variable output Look Solutions are offering a tremendous piece of kit which can achieve constant haze, creating the right atmosphere and excellently supporting lighting effects whether the venue is large or small. Production Hire own a state of the art Look Solutions Unique Hazer 2.1 for dry hire to support your live music event. Call or contact us for your free no obligation quote regarding Look Solutions Unique Hazer 2.1 dry hire. One of the Production Hire team will be happy to help.